Mystic, CT – On Friday night, December 7, nearly 5,500 guests visited Mystic Aquarium as part of Olde Mistick Village’s Festival of Lights. Thanks to the generosity of those guests, Mystic Aquarium, with the help of Mystic Transportation, delivered 7,039 pounds of non-perishable food to the Gemma E. Moran United Way/Labor Food Center in New London this morning. An additional $801 was collected in monetary donations in support of the local food center. Each year Mystic Aquarium proudly joins the Olde Mistick Village for Festival of Lights, a popular local holiday tradition featuring an enchanting light display of thousands of luminaria, shopping, live seasonal entertainment and more. 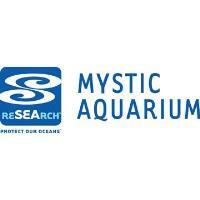 Mystic Aquarium extends complimentary admission during the evening with the donation of a non-perishable food item. On Friday evening, guests enjoyed pictures with Santa, face painting, storytelling by The Winter Lady & Sprites along with diving Santa and elves. Live entertainment was provided by Saxophone Santa, Ledyard High School Carolers, Mystic River Chorale, The Cutler Brass Ensemble & Jazz Band, Jo Ann Galat Brown Music Teaching School and Kik’s Dance Center. Outside the Sea Scouts worked tirelessly collecting and sorting the over 7,000 pounds of food in preparation for delivery by Mystic Transportation, who also donates use of the truck. Since 1988, the Gemma E. Moran United Way/Labor Food Center has played a key role in providing one of the building blocks to a good quality of life by feeding food insecure individuals and families all across the community.